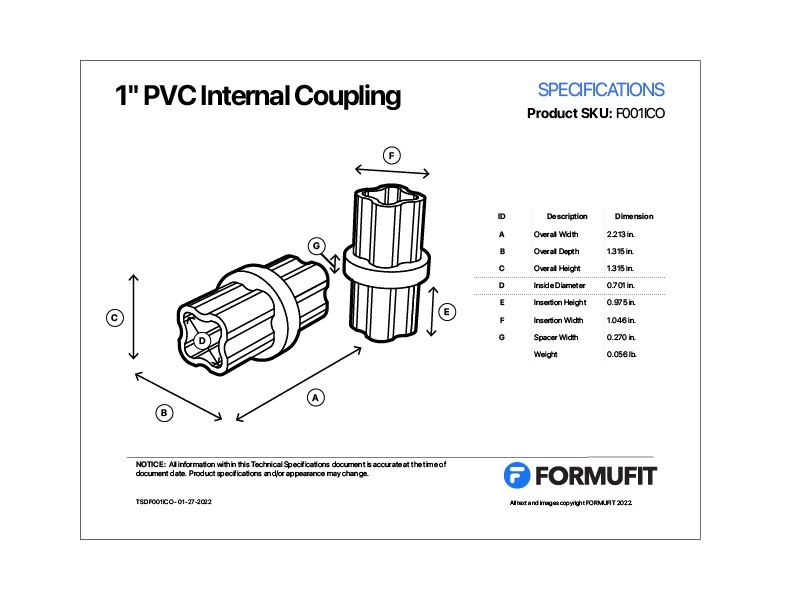 FORMUFIT 1" Internal Couplings connect two segments of 1 in. 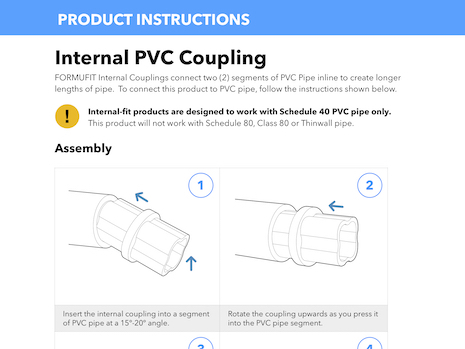 Schedule 40 PVC pipe internally, leaving a smooth, flush connection. Fits inside 1" Size Sch. 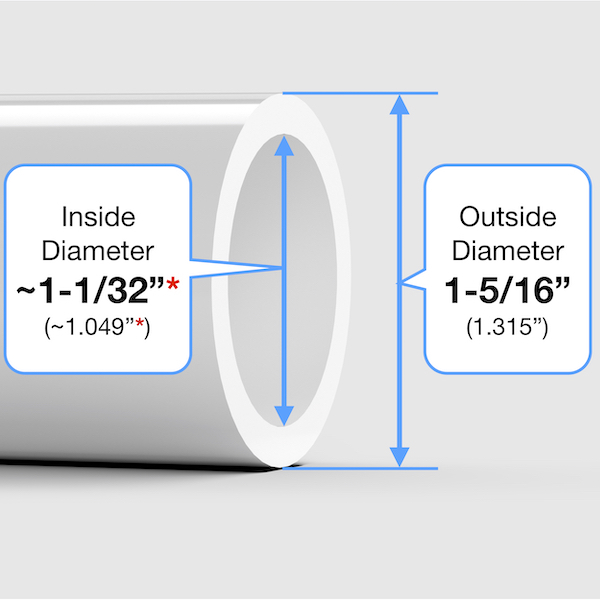 40 PVC pipe, which has an outside diameter of 1-5/16" (1.315") and an inside diameter of 1".